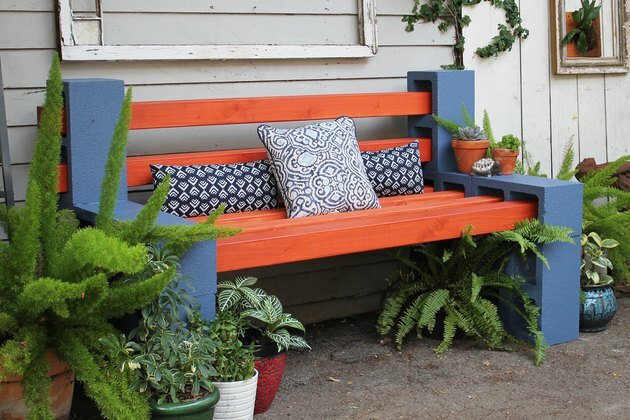 If you have an outdoor space where you want to create a haven but don't want to spend hundreds of dollars on fancy patio furniture, build an easy bench with basic construction materials. 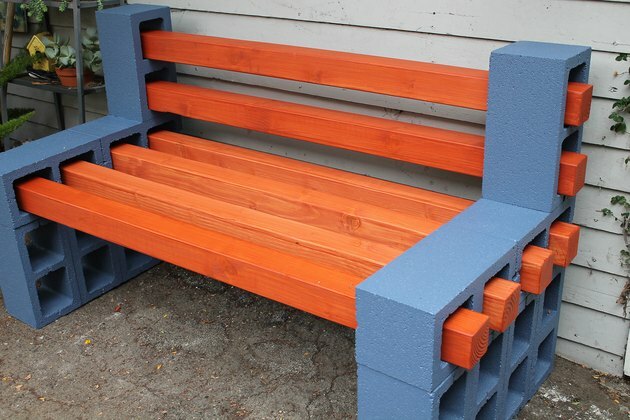 Concrete cinder blocks and wood posts make a clever seating arrangement, and no tools are needed. 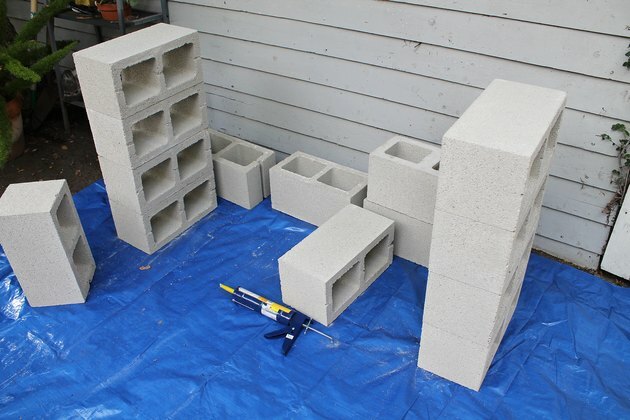 Though cinder blocks can be heavy, this project is easy to make and doesn't take long to complete. 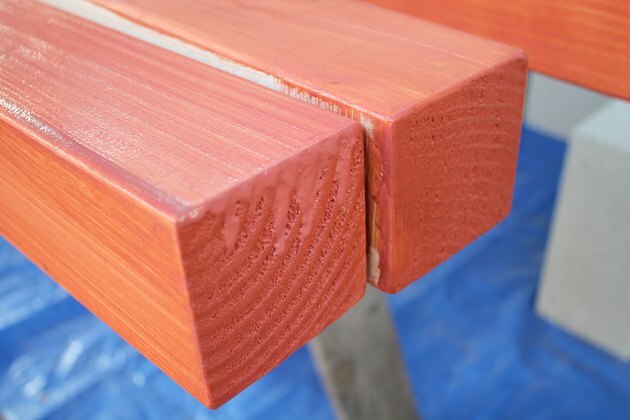 TIP: A hardware store will cut the wood posts to size for you. 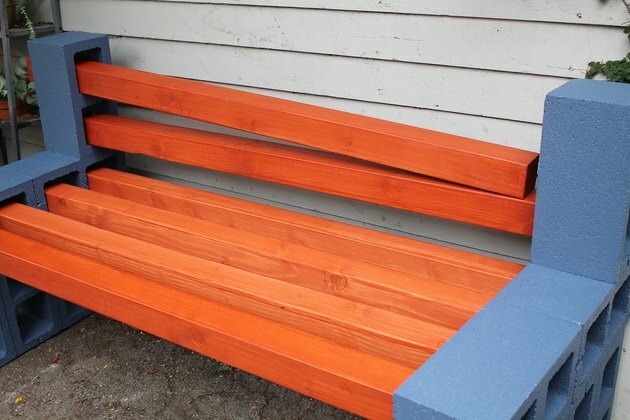 TIP: Build the bench close to where it will be placed. After it is assembled, the blocks are very heavy. 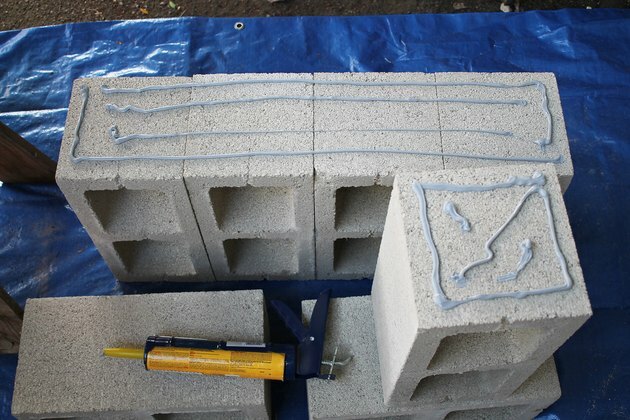 Draw an outline along the solid side of a cinder block approximately 1/2 inch from the edge, and draw an X shape in the center using concrete adhesive. 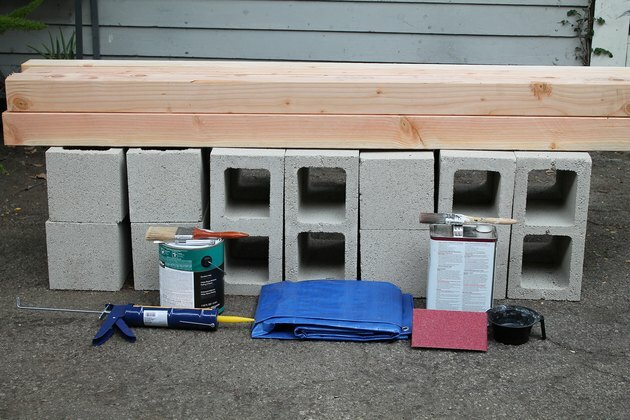 Place the long and solid side of one cinder block on top of the block with the adhesive, matching up the edges to form a solid structure. Repeat steps 1 and 2 until you have a stack of four cinder blocks. Allow the adhesive to dry for approximately one hour before continuing to the next step. Four cinder blocks form the base of the structure. 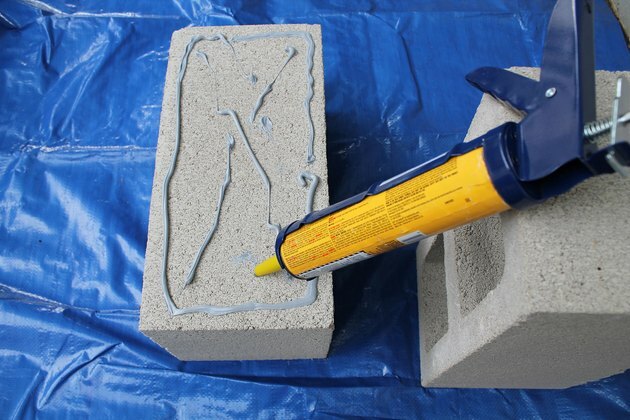 TIP: If concrete adhesive spills out through the seams, remove it quickly with a damp cloth. Repeat steps 1 through 3, building the second side of the bench structure. 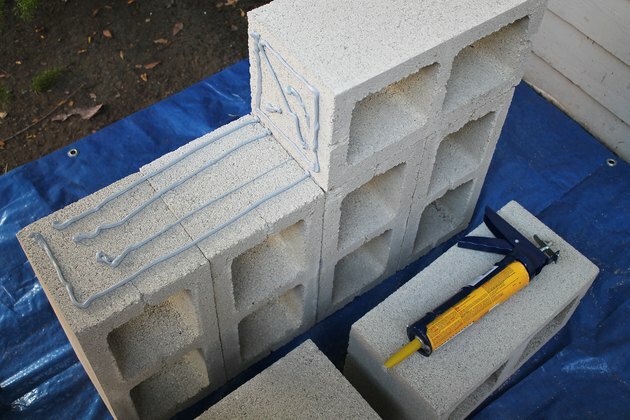 Build two cinder block supports. Bring the long side of the four-cinder block structure onto the ground. 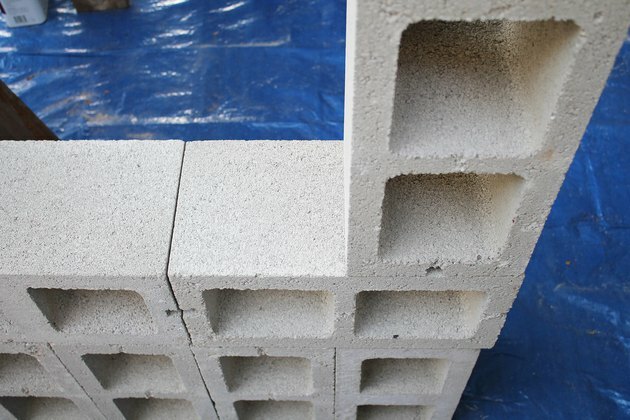 Apply concrete adhesive to the top of the 4 block base. 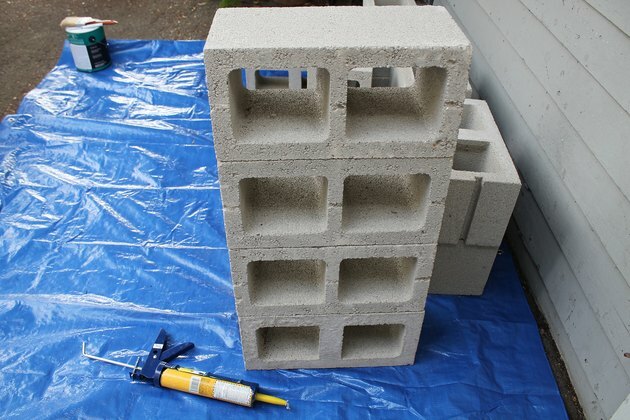 Add adhesive to the small side of one cinder block. Place the block on top of the base so that the short side with adhesive faces the center of the base. This creates a strong base. 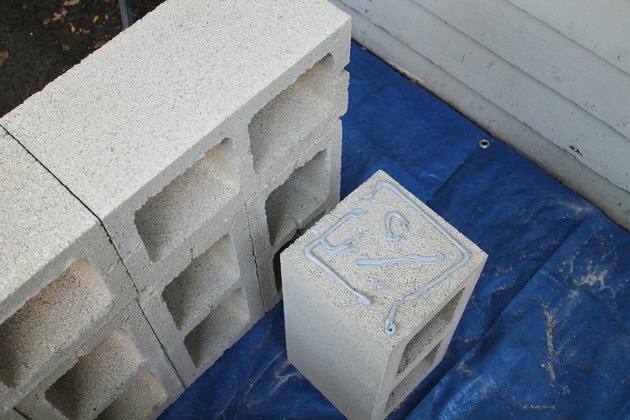 Place the long side of another cinder block on top of the adhesive, and push the top two cinder blocks together tightly. This top row of cinder blocks will hold the wood posts. 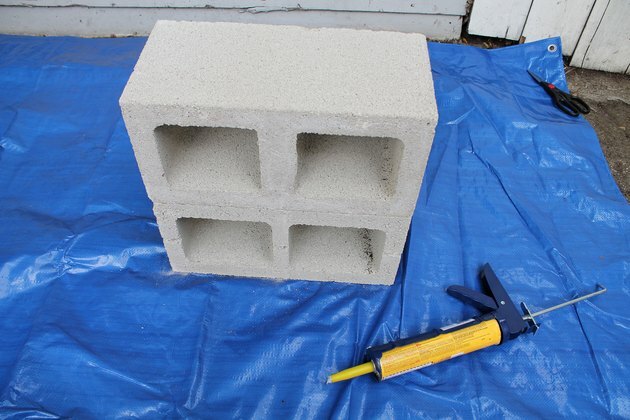 Apply concrete adhesive to the small side of one cinder block. Last block of the structure. Align the block with the end of the base and place it down. Align the block before you place it down, to avoid visible adhesive. Repeat this process for the second side structure. This block forms the back supports. 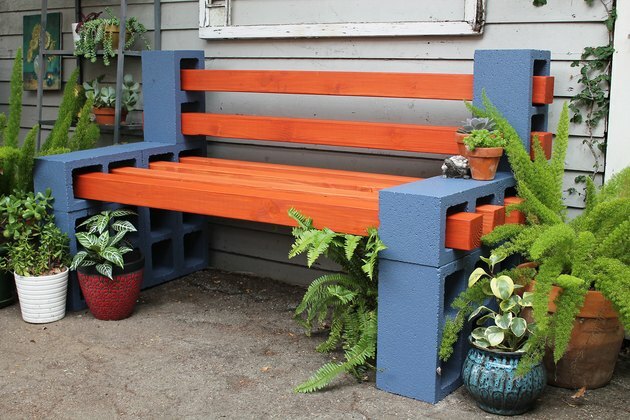 Paint all sides of the cinder block structures with exterior house paint and a good painter's brush. 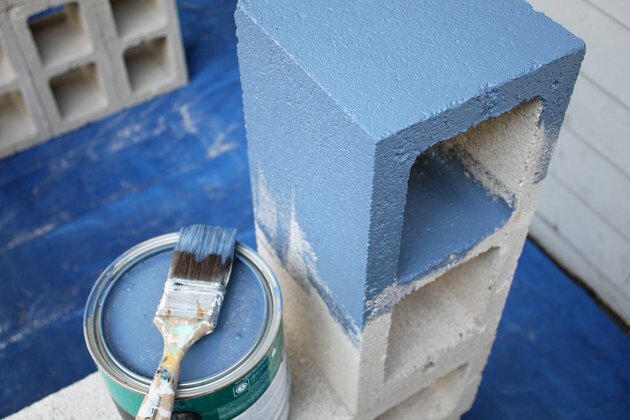 Apply a heavy amount of paint so that it sinks into the nooks of the concrete blocks, and then brush away the excess paint. Check the edges for drips, and use the brush to remove them. The color options are endless! 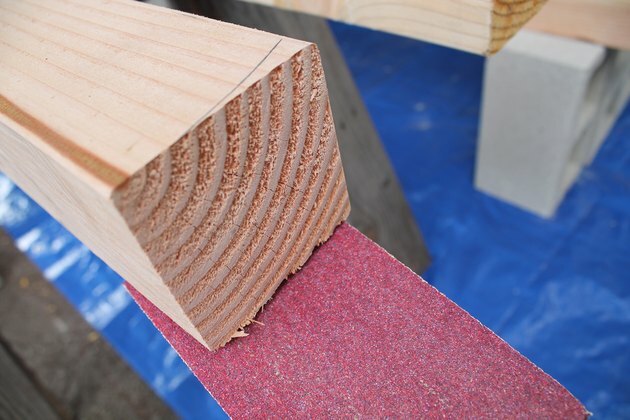 Sand off the rough edges at the end of each post with rough sandpaper. Sand each side of the posts to remove any rough edges or markings from the lumberyard. Only a light sanding is needed. 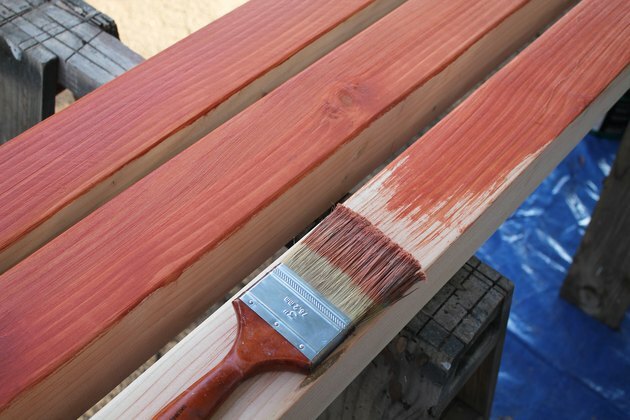 Apply a coat of wood stain and waterproofer with a wide paintbrush. Use long, smooth strokes to avoid brush marks. Turn the post once to paint the adjacent side. Allow the stain to dry for approximately one hour before turning it to paint the opposite sides of the post. Stains come in many colors! 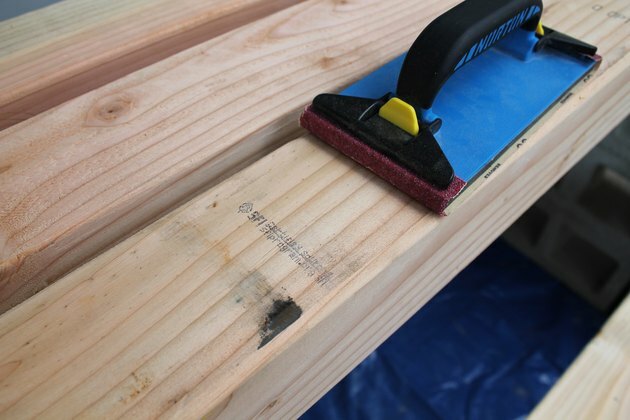 Check the ends of the posts for drips and remove with the brush before they dry. Thread the posts through the cinder blocks. 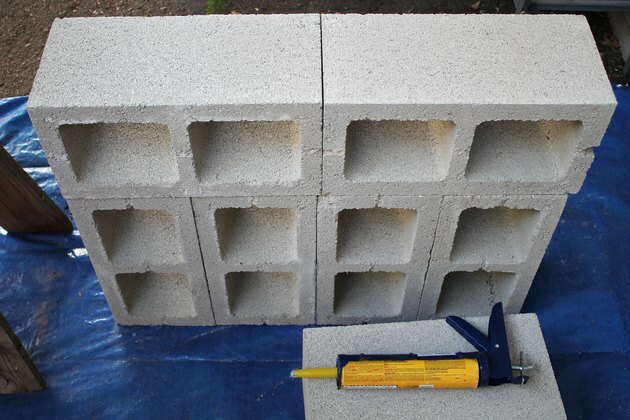 Move the cinder block structures closer together until the posts stick out approximately 2 to 3 inches at each end. This adds strength and beauty! Add a few plants and pillows and enjoy your new outdoor living space. 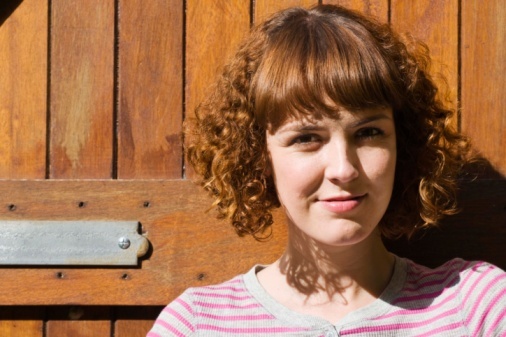 Sarah Hamilton is a professional artist and dressmaker in Los Angeles. She received her Bachelor of Fine Arts in fashion design from the Fashion Institute of Technology, and has since been working in all forms of the visual arts. She is happiest in her studio, painting, sewing, or crafting anything from nothing.